We have been looking at down sizing and me retiring early and what we could keep stored and what we could take with. 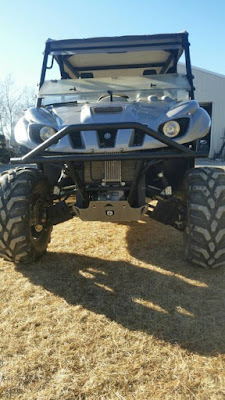 My jeep has been one that I was wondering about and I have come to the conclusion that it is to much weight to drag up and down steep mountains so we are buying a UTV, that is a side by side ATV for those that don't know and a flat bed trailer to haul it on. We can come in at half the weight and as long as I get a trailer with brakes we should be good. 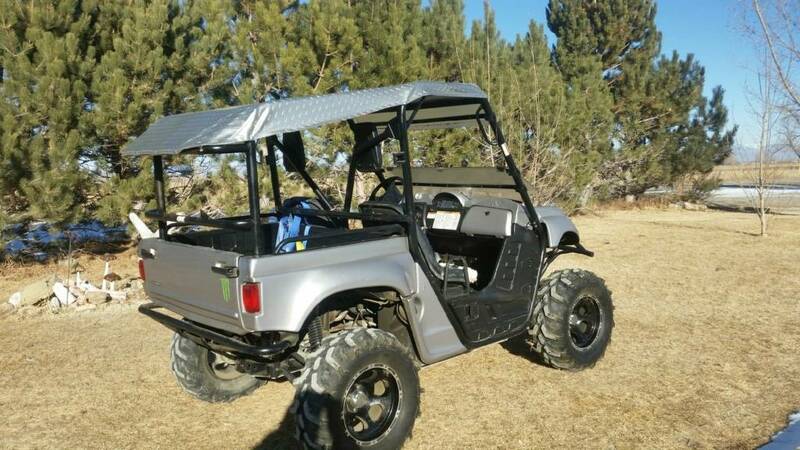 Our choice of UTV has been made we are getting a 2006 Yamaha Rhino, it will take care of our off road needs eliminating ware and tear on our tow vehicle. This is what we are getting.